The warnings about fallout from nuclear tests six decades ago often noted that cancers from the radiation would probably not begin appearing in large numbers for many years. But that time is now and medical experts are wondering whether the surge in some cancers is a result, writes John LaForge. Back in the 1950s and 1960s, the Atomic Energy Commission doused the entire United States with thyroid cancer-causing iodine-131, and 300 other radioisotopes, by exploding atomic and hydrogen bombs above ground. To protect the dirty, secretive, militarized bomb-building industry, the government chose to warn the photographic film industry about the radioactive fallout patterns, but not the general public. In 1951, the Eastman Kodak Company had threatened a federal lawsuit over the nuclear fallout that was fogging its bulk film shipments. Film was not packed in bubble wrap then, but in corn stalks that were sometimes being fallout-contaminated. 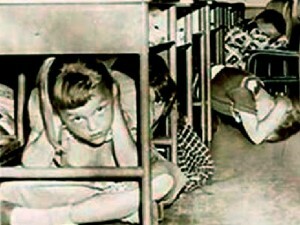 During nuclear bomb drills in the 1950s, school children were ordered to hide under their desks. By agreeing to warn Kodak, etc., the AEC and the bomb program avoided the public uproar, and the bomb testing program’s possible cancellation, that a lawsuit would have precipitated. The settlement kept the deadliness of the fallout hidden from farmers and the public, even though the government well knew that fallout endangered all the people it was supposed to be defending. 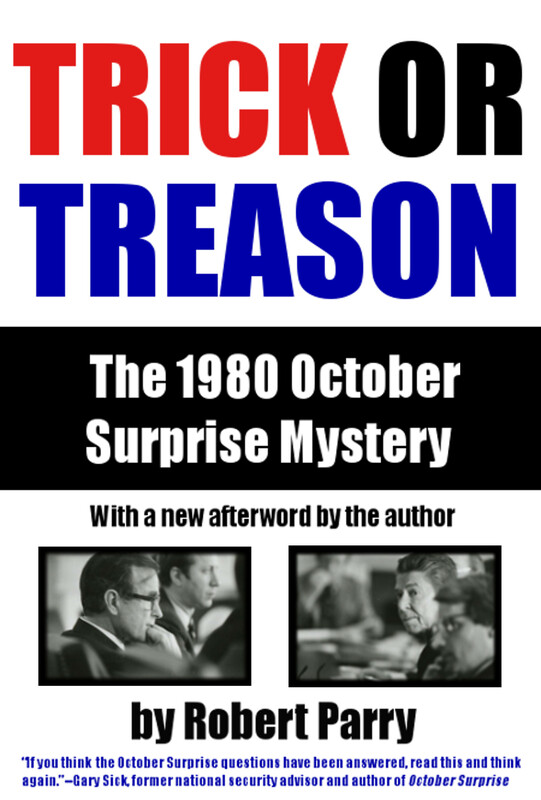 This staggering revelation was heralded on Sept. 30, 1997, in the New York Times headline, “U.S. Warned Film Plants, Not Public, About Nuclear Fallout.” The article began, “[W]hile the Government reassured the public that there was no health threat from atmospheric nuclear tests” The fallout’s radioactive iodine-131delivered thyroid doses to virtually all 160 million people in the U.S. at the time. According to the Institute for Energy and Environmental Research (IEER) in Takoma Park, Maryland, which discovered the cover-up, children were especially affected and received higher doses because they generally consumed more milk than adults and since their thyroids are smaller and growing more rapidly. The “milk pathway” moves radioiodine from grass, to cows, to milk with extreme efficiency, a fact known to the government as early as 1951. Ingested iodine-131 concentrates in the thyroid gland where it can cause cancer. Average doses to children averaged between 6 and 14 rad, with some as high as 112 rad. Prior to 1997, the government claimed that thyroid doses to children were 15 to 70 times less. Every Corner of the U.S.
My friend Steve O’Neil of Duluth, Minnesota, who was born in 1951, has been a public spirited political activist all of his adult life, an advocate for the homeless and a campaigner against the causes of homelessness. As a St. Louis County Commissioner in his third term, Steve made headlines this month by announcing that he has been attacked by an aggressive form of thyroid cancer. Steve is not alone in his affliction, more than 60,000 thyroid cancers will be spotted this year in the U.S. Tens of thousands of them have been caused by our government’s nuclear weapons establishment. The National Cancer Institute disclosed in 1997 that some 75,000 thyroid cancer cases can be expected in the U.S. from just 90, out of a total of 235, above-ground bomb tests and that 10 percent of them will be fatal. That year, the NCI said, about 70 percent of the thyroid cancers caused by iodine-131 fallout from those 90 tests had not yet been diagnosed but would appear years or decades later. The study reported that all 160 million people in the country at the time were exposed to the iodine-131 (the only isotope out of more than 300 that were dispersed by the bomb blasts that it studied). 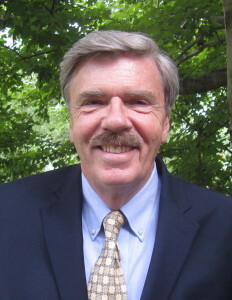 Children under 15, like Steve O’Neil and all the Baby Boomers, were particularly at risk. High doses of fallout were spread nation-wide. Wind patterns and local rainfall caused “hot spots” from Montana and Idaho to South Dakota, Minnesota, Missouri and beyond. The National Cancer Institute’s 1997 study said about 16,000 cases of thyroid cancer were diagnosed in the U.S. annually, and that 1,230 would die from the disease. This estimate turned out to be a gross under-statement. Today the NCI reports that 60,220 new cases of thyroid cancer will be diagnosed in the U.S. this year, and that 1,850 of them will be fatal. The thyroid cancer “balloon” is with us because the nuclear weapons complex under Presidents Dwight Eisenhower and John F. Kennedy attacked the very people it was said to be defending. Yet, it gets worse. The UN Scientific Committee on the Effects of Atomic Radiation says that iodine-131 doses comprise only two percent of the overall radiation dose from weapons testing. Ninety-eight percent of our fallout dose is from 300 other isotopes produced by the Bomb. It is not idle speculation to suggest that the cancer pandemic afflicting the people of the U.S. has been caused by our own government’s deliberately secret and viciously reckless weapons program. You know, you can rag all you want about OTHER things that cause illness, but it will NEVER change the fact that thousands of the Baby Boomers, like myself, were exposed IN UTERO to severe fallout and the danger was belittled. Basically, I am a healthy person. However, I now have hypothyroidism which developed in my mid-40s and had pre-cancerous cells in my cervix on and off since age 15. I grew up in a very small Southern Colorado town. The whole thing spanned 16 small city blocks. However, every single block had at least two people who have survived (or died) of cancer. For a small town, that’s really out of proportion and not a fluke. Really? “Yet despite the acknowledged threat of a nuclear attack by N. Korea, Iran, or a terrorist group” Do you really believe this? Are you a regular reader of consortiumnews, ICH, tomdispatch etc? or what sources? Fracking, coalfired power stations, deforestation, bunkerbuster bombs, US Congress, Israel are all much more serious problems than your fanciful suggestions. There’s no little Facebook icon for “liking” your posts, rosemerry, so . . . LIKE! You should mention that it was Kennedy who finally got the above-ground nuclear tests stopped with the Partial Test Ban Treaty in 1963, despite a lot of opposition from the military-industrial complex. What madness from a country that is so loved by its people and Jesus. The US responsible for Agent Orange all over Vietnam and Depleted Uranium all over the Middle East and Afghanistan and more Agent Orange all over South America’s Colombian countryside and from there into the World’s ecosystems and perhaps to a town near you. Come on, now, we all know that if Americans are getting cancer and producing children with congenital diseases, the real causes are vaccinations and cigarette smoking. 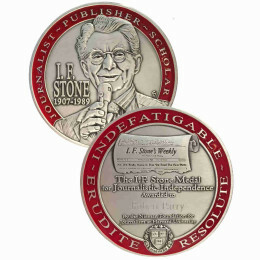 Pardon me for laughing up my sleeve when I recall some of history’s most prolific thinkers who lived into their nineties…and chain-smoked all the way to the end. Anybody remember Einstein sucking on that pipe? Or Mark Twain and his ever present cigar? Shoot. A little polonium never hurt anybody, now, did it? FG, remember cigarettes, not pipes and cigars, have always been the culprits. As well, anecdotal cases of survivors do not mean a statistical relation is not valid in terms of likelihood. As for vaccines, check out the real figures. At least these latest results show that terrorism is not the only thing to be scared of in the USA!